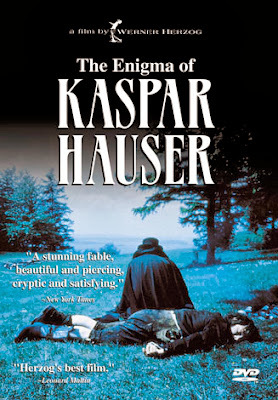 The Enigma of Kasper Hauser, considered by many as one of his finest achievements, was Herzog’s deft and allegorical meditation on human civilization and what it entails to take the journey from darkness to light, so to speak. This, therefore, might very well be considered as a companion piece to his previous film, Aguirre the Wrath ofGod, where he masterfully explored the other side of the coin. This unusual biopic chronicled the true story of the titular Kasper Hauser (performed with memorable impassivity by Bruno Schleinstein), a mysterious boy-man who, after being kept in captivity for the first 17 years of his life, chained in a dingy cellar, is suddenly allowed to leave. Hardly able to speak, devoid of any awareness of social customs and behavior, and oblivious of the world and the people around him, he seems like an alien from outer space when he is left stranded in Nuremberg by the man who had kept him locked. Different people react differently to this strange man – some treat him with genuine warmth and kindness, some consider him as a freak of nature, some try to make some money out of his odd situation, some marvel at his uniqueness, and some are shocked and put off by his existence. 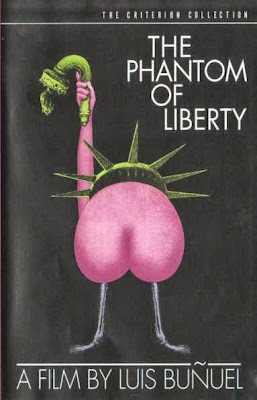 The society, out of a patronizing concern, tries to civilize him so that he can become one of them; however, the more he is educated about the various worldly matters and made to conform to the various structures and norms around him, the more he realizes that this is a strange world filled with hypocrisies, brutalities and ignorance, and how elusive true freedom and knowledge really are. The end results were understated, quietly profound, and undeniably poignant. The Man without a Past, the second chapter in Kaurismaki’s ‘Finland Trilogy’, was a typically droll, ironic, deftly understated and darkly funny film on the blue-collar and lower strata of Finnish society. The subject was decidedly downbeat, but the treatment was surprisingly bittersweet and poignant despite the sharp, and oftentimes cynical, observations it has been brilliantly laced with. The film begins with a display of schocking brutality when its principal protagonist (Markku Peltola), on arriving in Helsinki, gets savagely beaten up by a group of thugs. The physical injuries he suffers, however, turns out to be minor vis-à-vis the damage his brain is inflicted. Bereft of his memory, identity and past, he starts taking small steps towards rebuilding a semblance of a life at an impoverished section of the city. His tryst with Murphy’s Law, however, continues, most notably when he ends up being holed up during a bank robbery. However, on the other hand, he also gets help, support and empathy from quarters he least expected, in the form of the family that helps him recover from his wounds, the lonely and socially awkward lady (Kati Outinen) he strikes a deep friendship with, etc. In turn, he too plays his bit by allowing a group of rock musicians practice at his dingy place, or, most ironically, helping the bank robber with something that one could never have guessed. 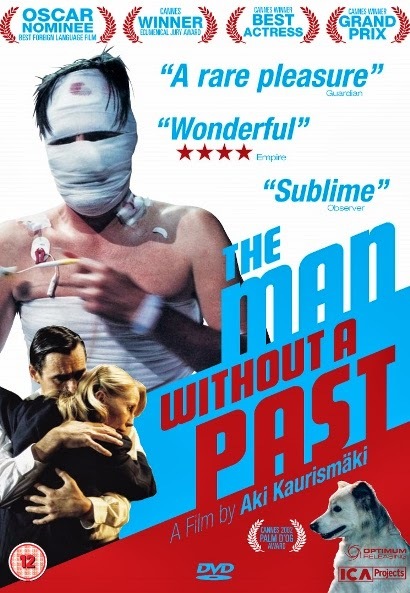 Aki drew excellent performances for the portrayal of oddball, marginalized and lonely characters whose bleak existences were superbly juxtaposed with his brand of wry, deadpan humour, while the cold visuals and pop-rock soundtrack added to the film’s melancholy, humanism and affecting simplicity. Inherit the Wind, adapted from a 1955 play of the same name, was a fictionalized account of a famous 1925 trial which had made the Creationism v/s Evolution debate national news. On one hand, this was an account of the divide between religious fundamentalism and rationalism which rages to this day, while on the other it was an underhanded slap to the face of McCarthy’s notorious “Witch Hunts”. It begins with a high-school teacher in a conservative Christian town being arrested for teaching evolution in violation of state laws. 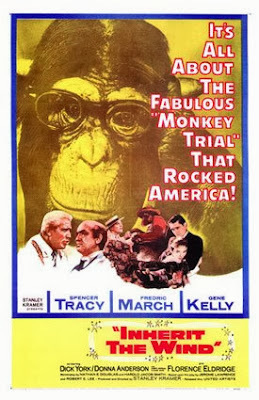 Brady (Fredric March), a former Presidential candidate and staunch opponent of Darwinism, decides to lead the Prosecution in a last-ditch attempt to gain mileage in his waning political career. His adversary turns out to be Drummond (Spencer Tracy), a renowned lawyer and a man of reason, who is appointed to lead the Defense by Hornbeck (Gene Kelly), a cynical, atheistic and influential newspaper columnist. The fact that the two veterans with mutually exclusive fundamentals were former allies made the fight that much more bitter and hard-fought. The upright teacher’s love-angle with a naïve young lady (Florence Eldbridge), daughter of the town’s venom-spewing preacher, added to the moral and personal crises. Unlike two famous American court-room dramas made 1 year on either side of this film, Anatomy of a Murder and Judgment at Nuremberg (the second by Kramer himself), this was nowhere as taut, gripping or psychologically incisive, as the director resorted to near propagandist means and loads of histrionics to drive home his point. In the end, the two strongest reasons for watching this would easily be Tracy and Kelly. 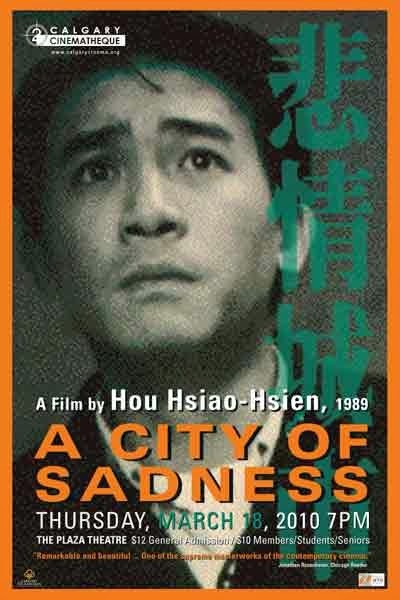 City of Sadness, the first chapter in his Hou Hsiao-Hsien’s acclaimed ‘Taiwan Trilogy’, provided a meditative look into the country’s transition from the end of Japanese occupation in 1945, to its secession from mainland China in 1949 and beginning of nearly 40 years of martial law. Formally rigorous approach, along with a contemplative and mournful tone, were used for chronicling how each seemingly positive development, which, at that point, provided reason for hope for a more peaceful future, eventually always led to tragedy. The socio-political unfurling was dealt with, often tacitly in the form of backdrops, through the changing fortunes of a family during those turbulent few years. Though comprising of four brothers, the two who were most vividly portrayed were Wen-Hung (Chen Sown-yung), the sturdy, rugged, practical and enterprising elder brother who distinctively represented the ‘masculine’ type, and Wen-Ching (Tony Leung), the shy, tender, artistic, left-leaning and deaf youngest brother; among the other two, one went missing in action, while the other, though managed to return from war, got afflicted with insanity. The two brothers didn’t just represent the two ends of their generation, they also subtly represented the two sides of political ideologies. The Japan-China divide, the growing hostility and unrest, and the increasing political purges and street anarchy, were subtly captured through the arcs of these two brilliantly enacted protagonists. The silent narrator for the chaos turned out to be the soft-spoken sister of Wen’s politically conscious and intellectual friend. The dense and elliptical narrative, the various historical references, and the ponderous pacing accentuated by Hou’s love for static long takes and non-action, however, made this a challenging watch.